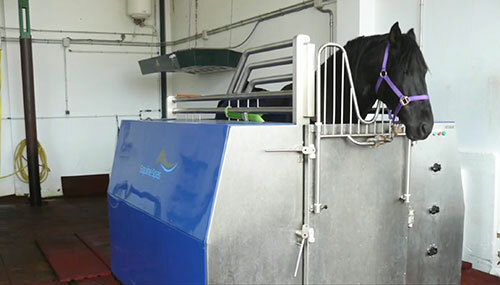 To properly understand how the low temperature hydrotherapy of Equine Spas works we need to review how the body reacts to the trauma of strains, cuts and bruises. When soft tissue is injured through a cut, tear or by concussive trauma the body releases enzymes and proteins causing the blood vessel walls in that vicinity to dilate and become more porous. The three main symptoms of inflammation, namely pain, heat, and swelling, occur in varying degrees depending on the site, nature, and severity of the injury. The downside of inflammation is that it may rage out of control and hinder the healing process resulting in secondary tissue damage or hypoxic injury, which can compound the problem. In addition, blood vessels in the area are put under increasing pressure by the fluid build-up, thereby slowing down the flow of blood and lymphatic fluid.